She was based in Singapore and went all over the Pacific to all the small islands, Fiji, Guam, Marshall Islands and Japan (a bit bigger). Not like a tanker and in Japan we took 3 weeks to load a full cargo of aviation spirit and this was the first time the refinery had produced this material so we were used as the holding tank while they made it. I had to join in Singapore as the J2Eng had hit the donkeyman with a pinch bar and the crew tried to kill him so he was placed in the midships accommodation until the ship got to the Persian gulf. He was removed back to South Africa where I think he came from. I joined in Singapore roads and was asked to take the ship alongside, when I got topside the crew had mutinied and walked of the ship but the chief steward stayed on, he knew which side his bread was buttered. 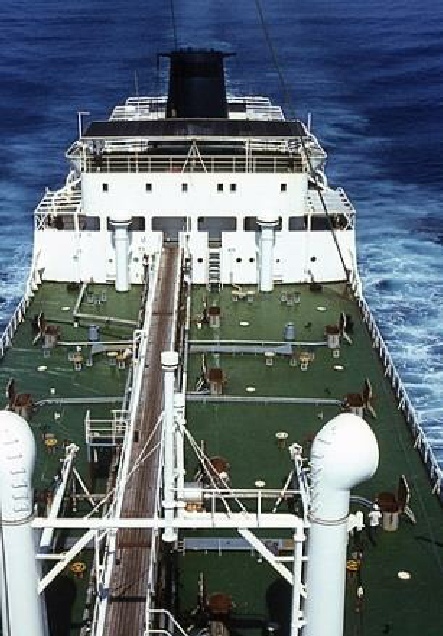 I always think about my ship as to how reliable they were and she was one of the reliable ones when I was on her. Did one trip on her as second mate 68/9----9 months---still not recovered!! We were also more or less based in Singers and called it our home port and eventually dry docked there. Went to countries I had never even heard of through seas I did not even know existed!!! Learned a lot on her especially chart correcting as we had charts for most of the world! I expect like you I could write a book of my time on her. On paper some great destinations including New Zealand, Australia, New Guinea, New Caledonia, New Ireland, Tahiti, Samoa, Sri Lanka and of course the Persian Gulf. That trip was 72,468 miles! Pah, rubbing it in Brian. I put my name down for her (to the office's shock and horror) when she was on that South Sea islands run, was it Mobil? 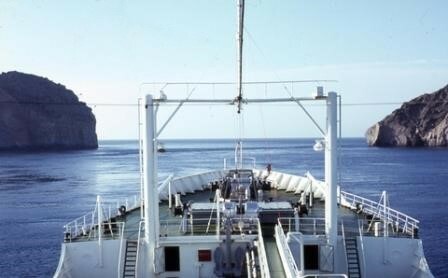 Eventually hooked off the Good Hope Castle to join the HH....in Lagos. 6 weeks on the famous BP Lagos to Okrika shuttle was dreadful, the next 5 months didn't get much better. Every time we had orders for Oz the dear old girl used to break down and orders were always changed back to Africa. Visited her in Jurong shipyard (drydock) in 1968 with my Mum & Dad & sister - Dad in RAF and we were living in Changi then. 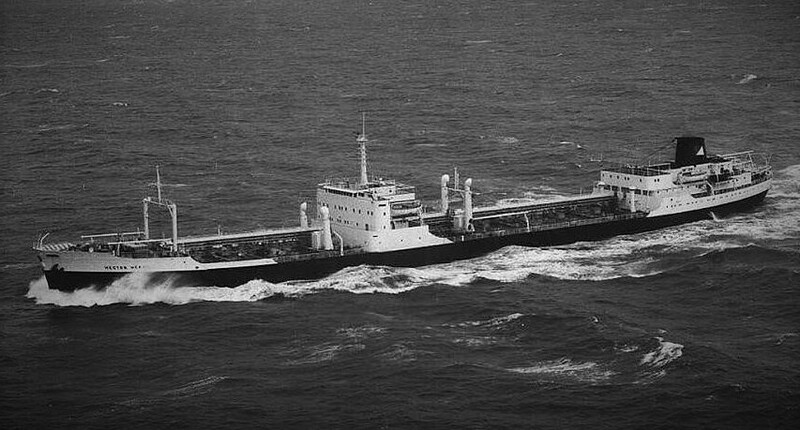 Remember whilst in the Captains cabin being brought Coca Cola by the 'old mans tiger' (chinese) and thinking that a Captains job must be the best in the world if you had a personal steward bringing whatever you wanted to your cabin.... that's when my childish determination to become a Captain kicked in!! Joined the Clan Line as soon as I could. Now been Master for 26 years and how times have changed....! The offsigning 2nd Engineer stayed with us at 324 Netheravon Road for a couple of days before flying home on leave - can't remember names except that he had ginger hair!! It was rumoured that the Hector Heron was the 'naughty boys' ship - but no one wanted to leave her though. Seem to remember the Ch/Eng was called 'Sad Sam' MacLeod. A drawing by Kathleen Kennedy.